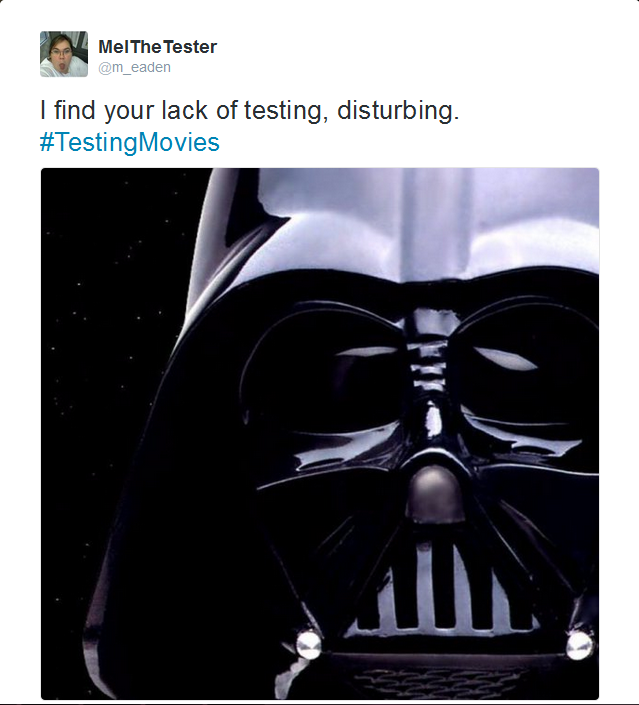 Which really got me thinking, what kind of tester would Darth Vader be? Granted, those that take things very seriously might find this line of thought juvenile, but as a lot of us are geeks, and many more of us like learning things from movies about our professions, I didn’t see this as juvenile at all. I took it as a challenge to understand and explain Star Wars in a way that might be fun and actually become a valuable lesson for someone learning how to test or how to break down a system and approach that system for testing. I believe I now have a response for my friend. Let me set up the system for you. And a quick disclaimer. I do not own or have rights to any of these characters. I am writing based on common knowledge and the genre. Please do not flame me Disney or LucasFilm – all characters and images are their property alone, and I’m not getting paid for this blog. Which brings me to the point of this blog. Darth Vader is not a good tester. He’s not actually even a tester, he’s a testing tool. He’s a very manipulated, incredibly smart and ruthless testing tool that comes in and force chokes the crap out of the environment, i.e. the poor sod that doesn’t agree with him, using the dark side of the code, but he’s not a tester. He’s more like automation. He’s been told what to do, how to do it, but has some latitude on how to get those things done because he has parameters set by the real tester, Emperor Palpatine. In the expansive system called the Empire, Emperor Palpatine is actually the real tester here, using Darth Vader as the one to seek out variables and identify them and bring them to him. The Emperor likes to keep things in line, in check, status quo. He has control over his domain, he knows the Force, both the light side and the dark side. He senses issues before they even hit his door, why? Because the Force/the Code has given him a heads up or Vader came and told him something directly, good or bad. Then you might also argue that there’s a point where he does turn on Palpatine and tells him no, but that makes even more of a case for being a testing tool. Vader gave him negative response to a command, and then killed the tester. While most automation won’t kill the person running it, when it does throw errors or generally refuses to do something you know it could do before, it can kill a lot of time while you try to figure out what’s wrong with it and if it’s the automation having a problem or something with the system causing the automation to choke (Hah, get it? Choke. Yeah, I can hear the groans from here). Or, in this case, it might be another tester, like Luke, giving the automation new code and that caused the error/death. Based on some new theories about Luke, and his role in that last scene, this is a possibility. There is one variable that isn’t explained here, and that’s the programmer. 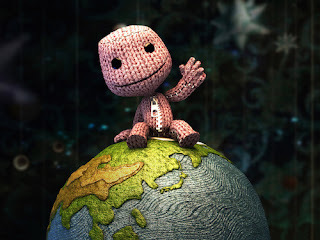 If the Force is like Code, then the programmer is crazy being or beings putting that code together. Or it’s just Disney and LucasArts/LucasFilm. Take your pick. Suggestions for more testing profiles would also be welcome!